Get up to 80% off your groceries, plus a $20 off Woolworths Promo Code and Free Delivery for your online order! No hidden coupon codes, so don’t go anywhere else! Get $20 off your order for $5 via Groupon 31 December. Free One Month Delivery Saver 31 December. Woolworths Weekly Catalogue 31 December. 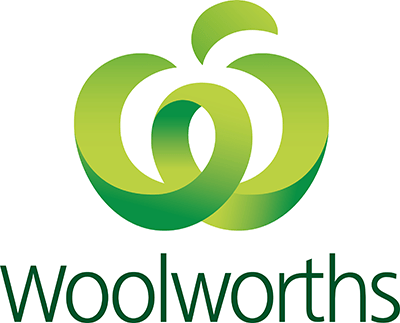 Woolworths is Australia’s largest supermarket chain with hundreds of stores throughout Australia. They have a huge range of groceries, half price specials and much more! We’ve collected the best deals and the latest coupons and vouchers right here. Woolworths serves over 14 million customers every week with the best and highest quality groceries. They have the freshest produce and Australian grown meat and products. With Woolworths recently introducing “Low Prices Always” and permanent price drops, your dollar will go even further at Woolies. You can have the confidence that you know that you will always get a great price for all your groceries! This is regardless of when you shop or whether your product is in the catalogue that week! Woolworths accepts all major credit card options, including Mastercard, Visa and American Express. In addition, Woolworths have recently added the option of paying with PayPal. This means that you can use your Paypal balance to get your weekly groceries! In addition, they accept WISH eGift Cards. You can often purchase these on special, meaning that you can even save more on your groceries week to week! You can often find Wish Gift Cards discounted – so that means you’ll even save more on your shop every single week! The Woolworths catalogue comes out every single Wednesday, where you’ll get the latest on the specials of the week. These specials include Half Price, or even Better than Half Price specials on all your favourite groceries, including chocolate, snacks, pantry items, fresh meat, vegies, fruit, electronics and much more. You’ll find the best highlighted specials on the front and back of each catalogue. The Woolworths catalogue is posted at 5pm every Monday on their website too, so you can get a sneak peek of the week’s specials when you go to their site on a Monday!